If you have heard the nursing occupation call, Tennessee will be able to use your services. The state continues to expect that highly qualified nursing professionals will be in short supply for years, due to retirement of current nurses and an aging population that is ever-increasing. Now is a great time to research options in Tennessee for nurse schools and nursing programs to begin your career, or continue your nursing education. 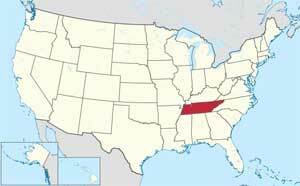 Tennessee is a compact state which means you will have many more employment opportunities. According to the Tennessee State Board of Nursing, LPNs make up roughly 32% of the nursing workforce in the state and have a comfort score that ranks number 11 in the nation. To become a LPN in Tennessee, you need an accredited program of one year with hands on experience. Once you have graduated you will be allowed to take the NCLEX-PN exam. As part of their regular duties, a LPN can expect to perform a multitude of tasks including taking patient measurements, wound care, administering medications, bathing and feeding. The LPN will also be performing diagnostic procedures, taking patient histories and performing any other tasks that may be assigned to them. There are 41 accredited nursing schools throughout the state of Tennessee. There are two RN degree options that are recognized by the state. You may prefer to take an Associate Degree in Nursing (ADN) program which is two years. If you are looking for even more opportunities, you may decide on the more extensive Bachelor of Science in Nursing (BSN) program which takes four years to finish. Either degree option will allow you to write the NCLEX-RN exam. RNs are an increasingly vital aspect of patient care and are expected to perform various duties, some of which include treating medical emergencies, performing CPR, supervising both LPNs and CNAs, diagnostic testing procedures, starting IVs, establishing patient treatment plans and administering medications and injections. Online degree programs give you the flexibility to either begin, or if you choose, advance your career in nursing at your own pace without having to attend a school full-time due to other obligations such as family. Numerous options are available in Tennessee for nursing degree programs. Some of these include CNA, LPN, LPN-RN, LPN-BSN, RN-BSN and BSN-MSN. Make certain that you check with your Board of Nursing just to be sure that your chosen program is accredited properly.